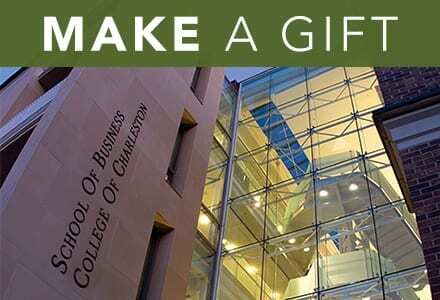 The College of Charleston School of Business is adding a new department in Supply Chain and Information Management to better align our academic programs, students, and faculty with the growing business community needs in our region. The minor in global logistics and transportation that has been in existence for over 25 years will be part of the broader focus of programs in the new department. The department of Supply Chain and Information Management, one of six academic departments serving approximately 2,000 students in the School of Business, is chaired by Joshua Davis, Ph.D. and associate professor, and brings together faculty with engineering, process management, information management, procurement, computer science, and logistics/transportation backgrounds. All supply chain and information management faculty have industry-related experience. “Our plan with the new department is to advance economic development in South Carolina by providing workforce talent that meets industry needs in manufacturing, manufacturers, suppliers, and service-providers needs in improved supply chain operations, information management and end-customer service,” says Dean Alan T. Shao. RELATED:Learn more about the annual Supply Chain Summit. In addition, the School of Business is consolidating its existing departments of Marketing and Management to improve efficiencies and open new opportunities for students in internships and job placement. Marketing and management will now offer the business administration, marketing and international business majors, and the global trade, entrepreneurship, and leadership, change and social responsibility minors. RELATED: Learn about the new management/entrepreneurship course for fall 2014. Lastly, the former department of Economics and Finance is split into individual departments to encourage more faculty autonomy and focus on scholarly work. The Initiative for Public Choice and Market Process will be part of the department of Economics, and the real estate minor and the School of Business Investment Program are aligned with the department of Finance.